It’s Halloween, and tonight I’ll be dressing up as an author. Haha. That’s a joke, because I really am an author. 1. Mostly, I’m doing it because I want an excuse to write my second Grover Cleveland Academy novel so I can edit and publish it, and if I don’t have this deadline hanging over my head, I’ll probably just put it off again. 2. I really should be writing at least 1600 words a day anyway, probably more, since it’s kind of my job to write (and edit, but I don’t have anything to edit at the moment), so I might as well call it NaNoWriMo and feel some kind of accomplishment when I hit goal every day. 3. I like an excuse to get together with my friends at midnight and write, which is what we’re doing tonight. 4. I quit NaNoWriMo last year after struggling through 16,000 words, and I feel sad about that. I won in 2009 and 2010, but there’s nothing like an off year to destroy one’s confidence. So I need to win this year to prove to myself that I haven’t lost my game. So. Tonight, at midnight, I am typing up the first few pages of Grover Cleveland Academy 2: Title Pending. I’m starting to wish that I had gone with a more HP-esque title for my first book The Rayfish and the Burning Building or Rahab and the Pyromaniac. It would make naming conventions for the other books in the series so much easier. But instead now I’m left with something that fits with Into the Flames. Out of the Flames? Yeah, no. 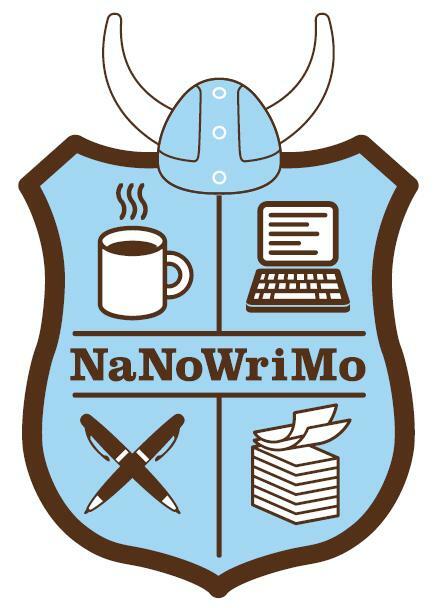 Anyway, for all of you out there who are participating in NaNoWriMo this year, the best of luck to you! May your fingers fly across the keyboard as your characters fall in and out of danger! I’ll be posting more about what happens as I know it myself.